If it’s June in New York City, it must be Bloomsday! The usual crowd of writers and performers -- Larry Kirwan, Colum McCann ands Colin Broderick --assembled at Ulysses Folk House on Wall Street over the weekend to give praise to the immortal James Joyce masterwork Ulysses. For Aedin Maloney, daughter of Chieftains leader Paddy Moloney, the event is the highlight of the year. “They do a great, classy job. It feels like a little party, no pressure,” she says of the event. “It’s become one of the most popular festivals dedicated to James Joyce here in the States, which is great.” Moloney’s love of Joyce goes deeper than that, which she will display later this year when she releases Molly Bloom, an extensive spoken word piece with music interspersed. Her famous father is musical director of this project, and he will be contributing both new and pre-recorded pieces. “The project is three and a half hours long,” Moloney says. “When you’re listening to something like that, you need breaks. There are places to me that have natural breaks. After graduating from Trinity College Dublin, Moloney started her career at the Gaiety Theatre and soon branched out into the U.K. at several theatres, including BAC, the Bristol Old Vic and Sheffield Crucible. She appeared in multiple British and Irish television productions such as The Bill, The Moth and Ballykissangel. She has also appeared in Law and Order here. 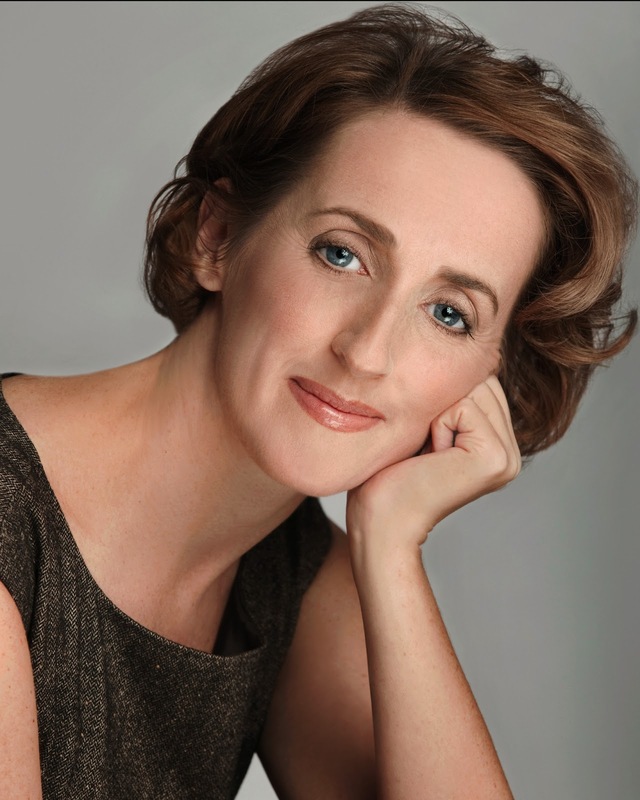 Among her theater credits in New York, she is proud to say she has played eight leading roles at the Irish Repertory Theatre, including the role of Rose in the hit revival of Dancing at Lughnasa by Brian Friel. She is also a member of the Fallen Angel Theater Company in New York. “I loved having Paddy as my dad. I’m not a musician, and if I was I might have a different answer,” she says with a laugh when asked what it was like to grow up as an artist in the shadow of an icon like Paddy Moloney. Moloney reports that the chemistry between the two has been natural. Paddy and the Chieftains released Santiago many years ago, a blend of Irish and Spanish that is popular in the Celtic Galicia region of Spain. And where did this love of James Joyce come from? “I didn’t have much television as a child,” Moloney says. “I would devour books as a child. I started reading Ulysses at 10 years of age. “I had no pre-conceived notions that this was a difficult book. I went into it with the wonder of a child. Whether I understood the adult nature of the story is another story. I came back to it as a young adult, once I was a bit more worldly. It was in the Bloomsday readings that she did around Molly Bloom that friends saw the spark of something great, encouraging Moloney to put it on record. There is also a more personal reason for collaborating with her father on this spoken word project. Of course, the opportunity to work with her father after all these years is a great milestone in Moloney’s life. “My daddy and I had never collaborated on anything and I wanted to connect with him on an artistic level,” she says. Moloney has finished the dialogue and they have been working on the music slowly and fitting it into the spoken word. “We have half the music down and we have a goal set for the end of this year,” she says. Keep your eyes peeled here for more details on this exciting project. Visit www.aedinmoloney.com for more information.